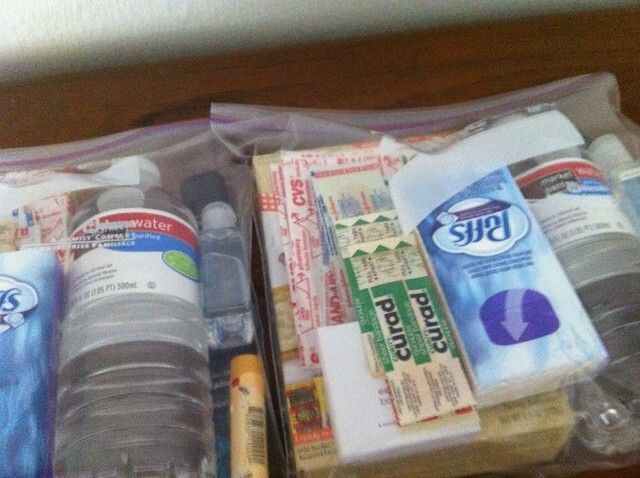 Blessing Bags – keep a couple in the car so when you see someone who is struggling (ie begging) you can give them a little something. I thought to myself, “What a wonderful idea!” Working in downtown Sacramento, I see homeless people everyday on my way to and from work. I feel bad because I never carry cash on me, and I never have anything to give. Throughout the weekend I was cleaning out closets and whatnot, so I was able to easily put together these bags using stuff I had lying around the house. Yesterday I gave one out on my way home, and it felt so good to help someone out. I’m definitely going to continue to do this whenever I have a chance.